A Meal in Winter by French author Hubert Mingarelli is a subtle book that quietly but methodically stalks the reader’s sympathies. 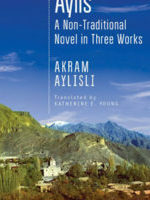 It does so through a beautiful, spare prose style that begins with the first line: “They had rung the iron gong outside, and it was still echoing, at first for real in the courtyard, and then, for a longer time, inside our heads.” This is lovely writing (deftly rendered from the French by translator Sam Taylor, himself a novelist)—yet a bit ominous, like something that can’t be escaped. Later, setting the scene for the winter’s walk that takes up much of the first part of the narrative, he writes: “A pale sun hung in the sky, as distant and useless, it seemed to us, as a coin trapped under thick ice.” Trapped. What is trapped? Or who? But in this review, there’s no point in being subtle about the book’s plot: it’s about three rank-and-file German soldiers who go out into the woods one cold, snowy winter day during World War II for one purpose and one purpose only. And that’s to hunt for Jews who might be in hiding. There’s a reason, however, why this book is subtle–and a reason why it’s absolutely masterful. Their mission is not the whole story. They go out to hunt for Jews because they cannot bear to remain at their camp where they would have to shoot and kill actual Jews. They much prefer to move about aimlessly in the woods, far from the camp in rural Poland, in a half-hearted attempt at finding another potential prisoner and putting off the senseless killing for which they have no appetite. The book is the story of a journey toward the meal of the title, but really it’s a morality tale—from a vantage point seldom considered. Mingarelli’s book, then, is truly a rarity: it is a novel that sets out to elicit at the very least the reader’s admission—if not her sympathy—that since we are all human, even a Nazi soldier might have had a conscience. Even a Nazi soldier might have hated what he was doing, might have had a young son whom he missed terribly, might have lamented bitterly the appearance of an embroidered snowflake on a Jewish prisoner’s hat. To be specific, the character missing his son is Emmerich, the one lamenting the embroidered snowflake is the unnamed narrator. The book contains a third major character, Bauer. These are the three men out in the woods on a cold winter’s day, choosing what they believe to be the lesser of two evils. Some readers, including this one, avoid reading promo copy before beginning a book. And hence, in the early sections of the slim volume, the reader has an idea of what the story might be about, but is unsure—and wondering. Bits of plot emerge slowly, and with it, the men’s characters. Early in their journey, Mingarelli writes: “We’d found some of them inside the haystacks during the spring.” A few lines later, Bauer asks, “What if we don’t find any?” The men wonder how long they need to look for this as-yet unnamed quarry. So it looks like we tried. That kind of line abounds in this book, which was nominated for the 2014 Independent Foreign Fiction Prize. Furthering this sensitive characterization, Mingarelli introduces in an early chapter one heartbreakingly beautiful plot element that’s minor but powerful: how Emmerich’s young son is faring as he grows up while his father is far from home. He asks advice of his two comrades about dealing with particular parenting challenges and once he does, this unseen son becomes part of the other two men’s lives. “We walked in silence, each lost in his own thoughts. But Emmerich’s son walked with us now,” the book reads. Later, the narrator remarks that he imagines the son “knocking on the door” of Emmerich’s conscience. Lines like that fill the reader with a sense of loss and poignancy but also with a desperate desire to keep reading, to figure out where this story is going. Mingarelli is likely to be new for many American readers. He is the author of Quatre soldats (Four Soldiers), which won the Prix de Medicis, and several short story collections. 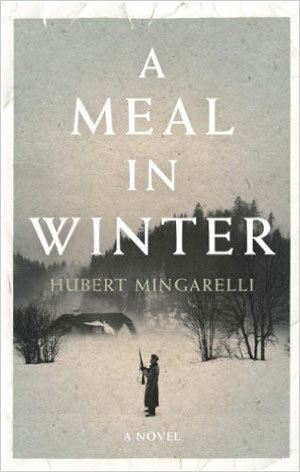 A Meal In Winter is Mingarelli’s first novel to be published in English. 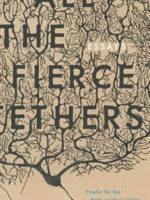 Which seems somewhat surprising, given the book’s profundity and sensitivity, but more importantly, it augurs the thrilling prospect of future English-language translations. The book was first published in France in 2012 and the English translation, by Taylor, was published in 2013 by Portobello Books. New Press has now published this American edition. The reader will tear through the pages covering the windup to the dinner, and the wintry meal, with its twists and turns, because Mingarelli is adept at building tension, but this reader needs to be sparing in what details are included here; Mingarelli takes the narrative to unexpected places. And the tension he teases out between the German soldiers and the Polish man underscores the novelty of his morality tale. Could there be anything worse than a Nazi soldier? How about a low-level conscript who was just following orders? Could there? Mingarelli is going to let us decide that one for ourselves. Jeanne Bonner is a writer and journalist based in Atlanta, Ga. She’s contributed reporting to The New York Times and CNN. 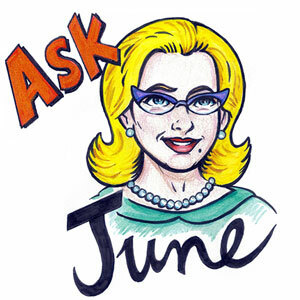 Her creative writing, including nonfiction essays and book reviews, have appeared online at Literary Hub, Catapult, Consequence and Asymptote Journal. 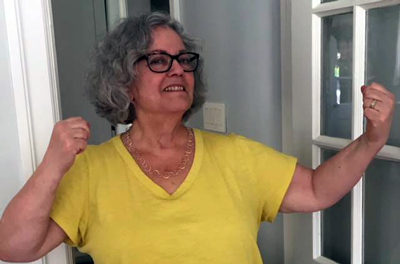 She received a Bachelor’s degree in Italian Literature from Wesleyan University and has an MFA in Creative Writing from Bennington College.